This elegant solid wood chest of drawers has been painted in Annie Sloan Chalk Paint™and finished with lacquer. It has five drawers all with the original brass pulls. 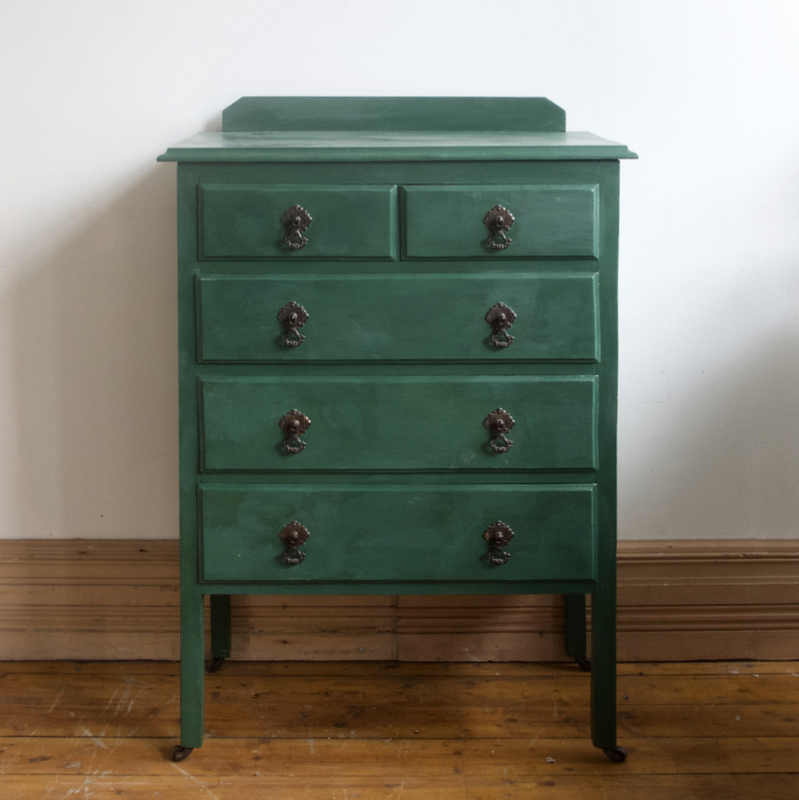 The strong Amsterdam Green paint would work in a period or contemporary space.